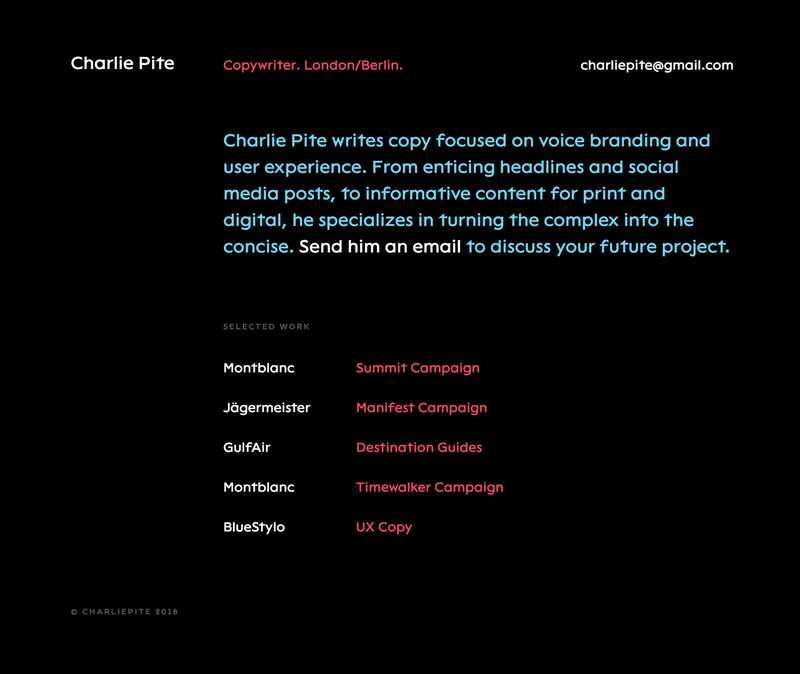 Minimal One Pager for copywriter Charlie Pite featuring body text that changes color according to your cursor location. Charlie Pite writes copy focused on voice branding and user experience. From enticing headlines and social media posts, to informative content for print and digital, he specializes in turning the complex into the concise.